I’m drinking cheap Gin, so you don’t have to. Now for something a little different. Gin is getting to be an immensely popular drink (and something we’ve being enjoying here at learnalittle-towers for the past few years). To put this in context, in the UK gin sales are now worth over £1bn per annum. This enthusiasm for gin has been largely driven by the development of new boutique distilleries creating unique and expensive gins. These are the gins I love to drink and write about. However I’m also a sucker for “value” gins. These are the bottles than go on sale for around €10 (or £10 in Britain) and, against my better judgement, tempt me. Sadly the promise of complex gins at single-digit prices is never quite fulfilled and I’m often left with fairly base spirits that hang around in my cellar waiting to be converted into sloe gin. This year I’ve decided to rescue the bottles and give them a proper test, in the form of a “Deathmatch”. A Deathmatch, for the uninitiated, is a sudden-death battle of drinks. Each drink goes head-to-head (or mano a mamo) with another drink. The winner goes on to the next round until you reach the final, where I’ll crown the victor as my Budget Gin of 2017. Naturally I’ll use this blog posing to keep you up to date with the Deathmatch and the winner will be named here, hopefully early in 2017. As each gin is eliminated I’ll post a review up here, until we’re left with the last man standing. For this year’s Deathmatch I’ve dragged 6 budget gins up from the gin dungeons to face the cold hard light of the day. In an ideal world we would have 8 gins for a proper “binary” Deathmatch, but that would just be way too much budget gin, so instead the final will be a 3-way death match. Each gin will be judged both as a pure spirit and in a gin and tonic. (v) which does not contain any other added ingredients other than water. (b) The minimum alcoholic strength by volume of London gin shall be 37,5 %. (c) The term London gin may be supplemented by the term ‘dry’. Is this a simple, dignified label, or just plain ? 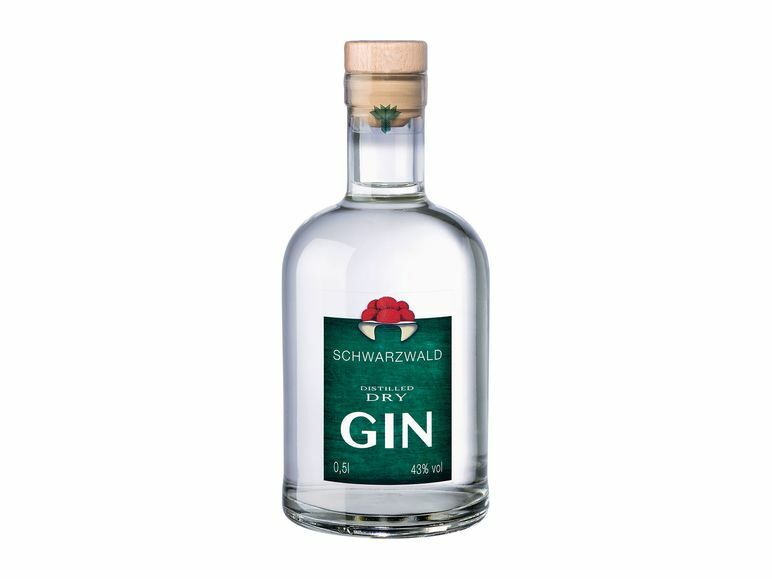 Schwarzwald distilled Dry Gin. Does what it say’s on the can. First up, we have a continental skirmish as the British Marlborough takes on the German Schwarzwald gin. For this battle I chose to combine the gins with a Fever Tree tonic and a touch of lime (since that’s what I had to hand). The result was, rather inevitably, a walkover. 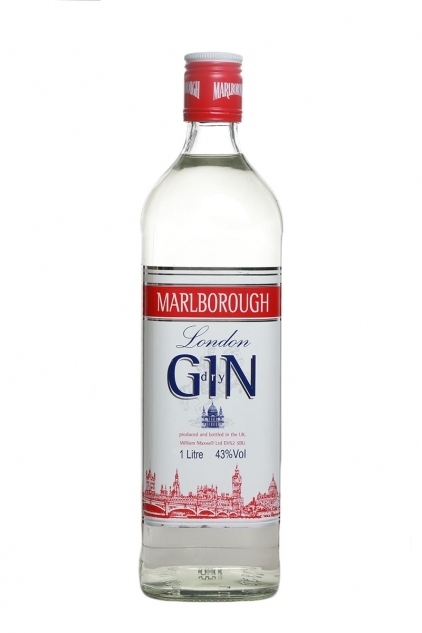 As with my previous experiences with the Marlborough gin, it gets lost in a gin and tonic. On the other hand, the robust flavours of the Schwarzwald gin stood up well to the tonic and lime. The Schwarzwald gin progresses to the final, the Marlborough returns to the gin dungeons and awaits it’s fate in my Sloe gin experiments. You can find a full review of the Marlborough Gin here. Gordon’s London Dry gin – it looks better in the green bottle. Our second battle was between two relatively mild gins, the classic Gordon’s and the Blackfriars London Dry Gin, a Sainsbury’s supermarket own-brand. Both are relatively mild, dare I say polite, gins. The battle was more handbags at dawn rather than Ultimate Fighting Champion. Drunk straight both drinks were relatively smooth and non too demanding. 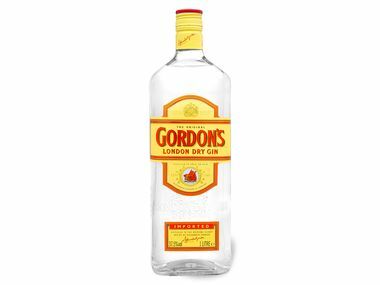 Once tooled up with a slice of lemon, and the middle of the road Goldbergs gin there was a clear winner – Gordons. The Blackfriars was a no-show, the taste somehow disappearing into the tonic. Seriously – I repeated the deathmatch a few days after the first as I wasn’t sure if I’d actually forgotten to put the Blackfriars in the G&T. Gordon’s progresses to the final, Blackfriars will need to go back to the gym. My review of the Blackfriars is here. The bottle is really a rather nice colour. Did I mention it has a citrus taste ? The last of the semi-finals saw the German supermarket giant REWE bring it’s champ into the ring. It faced the “Buyer’s Own Brand distiller“, Ian Macleod’s London Hill Gin. Both gins focus on adding citrus flavours to the juniper base. 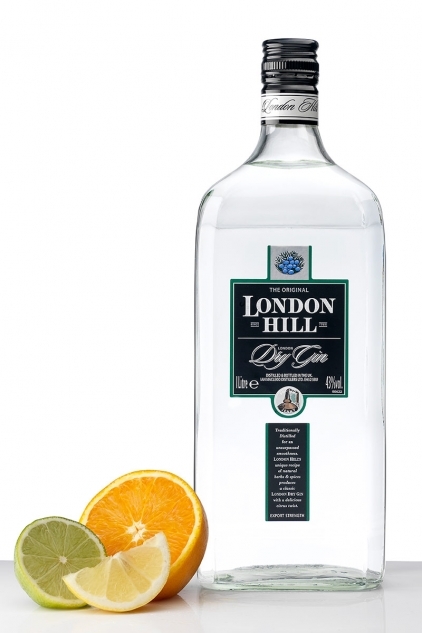 The London Hill gin adds citrus peels to the usual list of botanicals, whilst the REWE enlists the help of neroli extract. Neroli being the the blossom of Bitter or Seville Orange tree and is extracted by steam distillation. This was probably the tightest of the three semi-final bouts. Both drank well as pure spirits and were equipped with Goldberg‘s rather-average tonic and a slice of lemon for the G&T round. 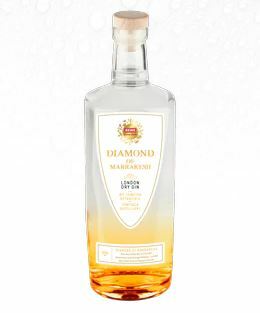 Here the REWE Diamond of Marrakesh won, it’s Neroli extract “special-move” out-classing the London Hill Gin, providing a strong bitter citrus G&T, something that would be perfect for a summer evening. The London Hill’s response was good, but not good enough to win the bout. The REWE product goes into the final the London Hill Gin goes home, but with it’s pride intact! The contestants for the final of my budget gin deathmatch are decided. There are two Germans in the final, Lidl Schwarzwald Gin and the REWE Diamond of Marrakesh and the plucky British classic gin, Gordon’s. Last weekend, I was fit-enough for the deathmatch final. To help adjudicate at such an important event my wife was also tasting, as was a friend from Mrs LearnaLittle’s Pilates class, who we’ll call Pilates_Girl for the sake of this blog. Together the three of us tasted the three finalist gins, both pure and as a gin and tonic, prepared with a slice of lemon and the relatively heavyweight 28 Drinks tonic water. When drunk pure the Schwarzwald Dry gin dropped points, as it was a little too rough. The Gordon’s Dry Gin showed the benefits of being produced by a large manufacturer, with a much smoother offering, whilst the REWE Diamond of Marrakesh also benefited from being distilled five times. In the gin and tonic beauty parade it was much harder to separate the gins. The Gordons Dry Gin gives you a very classical gin and tonic, and ideal after-work, sit-outside-the-pub sort of drink. The Schwarzwald showed off it’s herbal base and the rawness of the gin was complementing the tonic water. Our favourite, however, was the REWE Dry Gin. As a G&T the Neroni extract worked well with the tonic water to provide a refreshing G&T that left you going back for a re-fill. It reminded me a little of the Tanquerey Rangpur Gin. On this basis our winner for the 2017 Budget Gin in Germany Deathmatch was the REWE Diamond of Marrakesh. The deathmatch final did feel a little like a game of Rock/Paper/Scissors. A good gin will normally balance the juniper taste with bitterness from the citrus botanicals, and the spice from the, well, spices. Our finalists showed off one part of this mix, although non really out-shone the rest in all flavours. This is probably the difference between these budget gins and their more-expensive rivals. All three finalists make a nice G&T and if you are looking for something a little more juniper/herbal you may well prefer the Lidl Schwarzwald gin, otherwise have a try of the REWE Diamond of Marrakesh and see if it works for you. Although I didn’t initially plan to do this, I’ve drawn up a league table of gins, from favourite to least favourite. You can click on each of the gins below to read my individual review of each gin. This entry was posted in Gin, Gin Reviews and tagged Blackfriars London Dry Gin, Budget Gin, deathmatch, Diamond of Marrakesh, Gin, Gin and Tonic, gin review, Gordons Gin, Lidl Schwarzwald Gin, London Hill Gin, Marlborough Gin, REWE, Value Gin. Bookmark the permalink.